When my oldest was in 4th grade we covered Alabama History but not very well. We used a book but never got out to do field trips like I had envisioned. (I wonder if having twin babies around that time had anything to do with it.) At any rate, 7th grade and 2nd grade seems as good a time as any to do a little exploring and learning around Alabama and now that the twins are older (3!) it's a lot easier and more fun to get out and about. 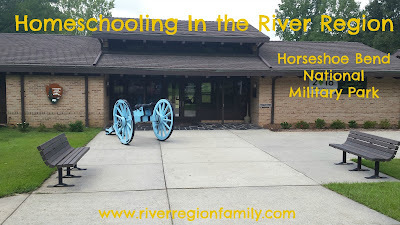 We have a few field trips planned for this year with our local homeschool group and also just as a family. 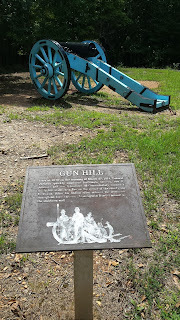 I plan on blogging about them to maybe give you ideas of field trips you can take in our area. My 2nd grader's curriculum this year will cover the historical period from 1000 AD to the middle ages and include medieval England and discoverers. The big plan for field trips for her is the Alabama Medieval Fantasy Festival in March 2017 in Greenville but we may also try to visit the Alabama Renaissance Faire in October in Florence. 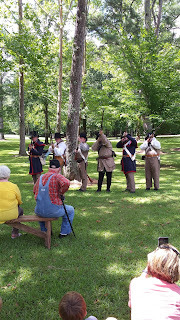 My 7th grader's curriculum this year covers a historical time period from about 1800 up to World War I which means we will hit several major Alabama history events this year-the Creek War, Statehood and the Civil War. So much good stuff related to these events in Alabama and most of it not too far from home! When I saw that the Horseshoe Bend National Military Park was having a special event called Muster On The Tallapoosa last week, I couldn't pass it up. Can I be honest? 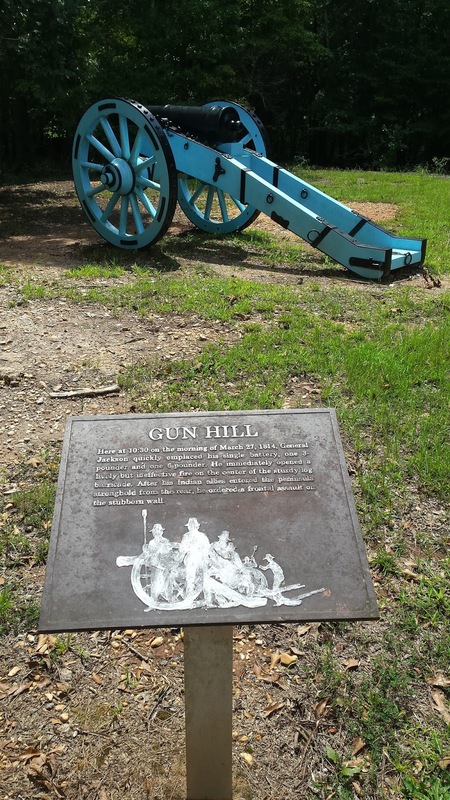 I have lived in Alabama all my life and taken Alabama history and never really "got" what the Creek War was about until we visited this park. 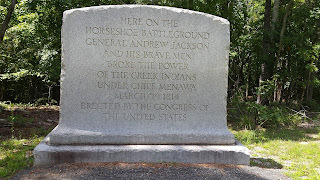 The Horseshoe Bend National Military Park is only about an hour and a half from Montgomery but I had not even heard of it until this year. Before we left we read some of the history of the park on the website so we would have an idea of what we were looking at. 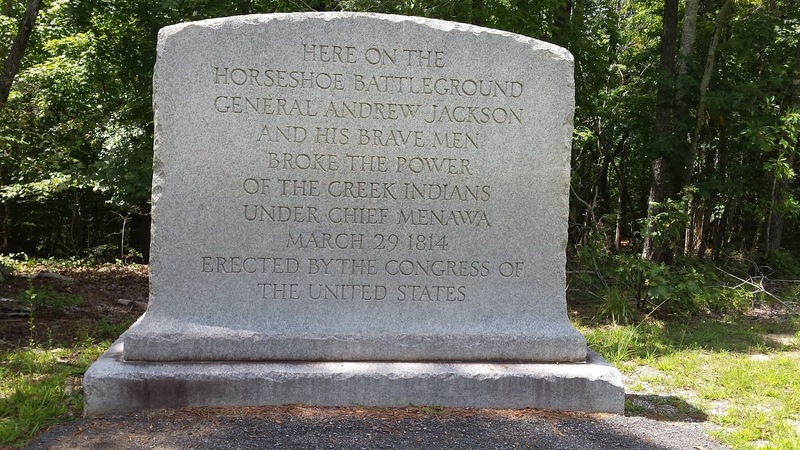 I love that the website has some primary source documents about the battle-letters from Andrew Jackson to different people telling what happened-that you can read. My older kids act like they never want to leave the house but once we get somewhere they always enjoy themselves and this time I think they may have even learned something. The Horseshoe Bend visitor center has a small, but nice museum inside with a timeline of events and interesting displays. When you go, have the kids get a Junior Park Ranger booklet to fill out with info found in the park and when you are done, you show it to the ranger to get a prize. 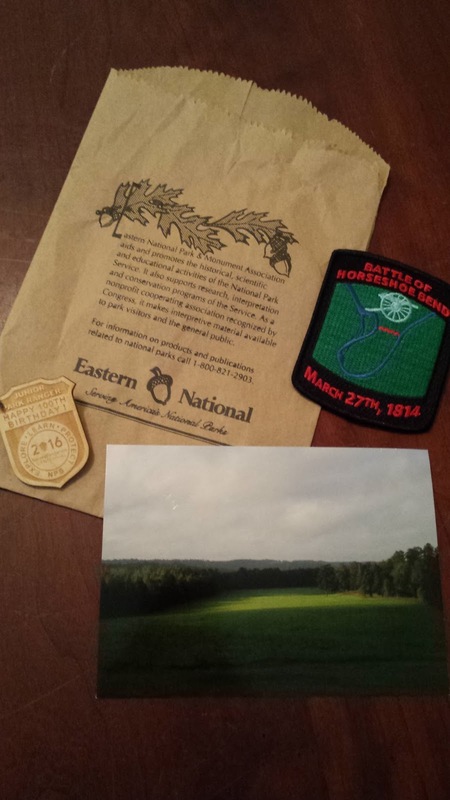 Ours was a nifty National Parks pin, postcard of Horseshoe Bend and a Battle of Horseshoe Bend commemorative patch. When we first got there, it was nearly time for a musket firing demonstration, so we headed outside to see that. 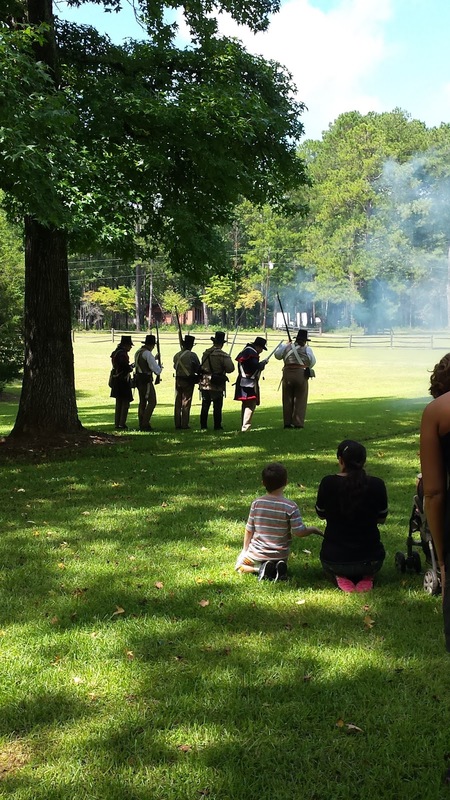 After the demonstration, the reenactors let people ask questions and then we walked around to the other displays that were set up for the special event. We got to see a cannon firing demonstration, also and make corn husk dolls. We took our lunch and ate it at the large picnic area. (Downside: the bathrooms are back at the visitor center so after lunch we had to drive back there to "go".) After that, we took the park tour. You can walk it but it's about 3 or more miles and with the small ones, it was easier to drive from stop to stop. You can pull up to the stop and dial the number on the sign with your phone to hear a park ranger describe the area. The kids thought that was really neat. Most stops you will want to get out of the vehicle and walk to the exhibit. It's not very far. Some are fine to sit in the car and see out the windows. The Horseshoe Bend National Military Park is beautiful and my kids and I learned a lot about Alabama's history by visiting this park. I'm excited for our other field trips this year. If you have any suggestions for fields trips in Alabama, I want to hear them. 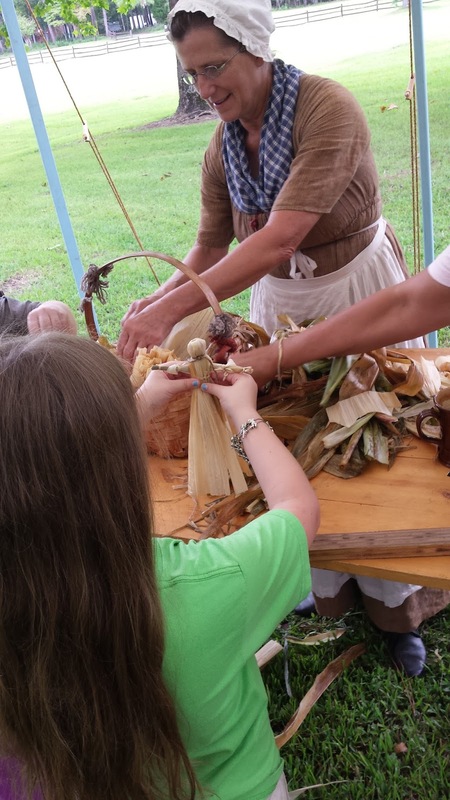 What are your favorite places to field trip in Alabama?